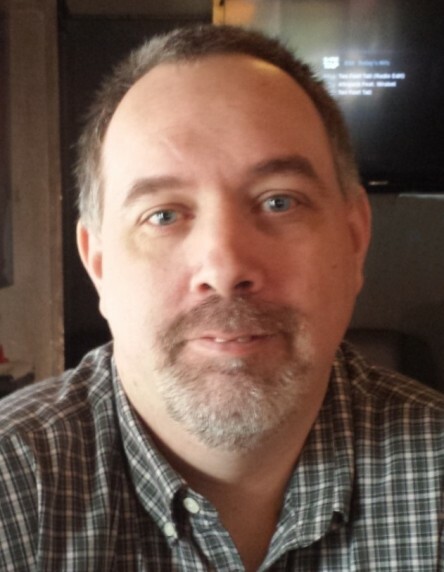 Christopher Ellis, 46, of Lost Nation, Iowa, passed away unexpectedly Sunday, November 25, 2018, at Jackson County Regional Hospital. Chris was born August 11, 1972, in Bay City, Michigan, to Rev. Terrance and Sandra (Rohn) Ellis. He graduated from Northeast High School in Goose Lake, Iowa. He worked at Jewel Osco and Wareco/CircleK both in Clinton, Walmart in Davenport, Custom Pak in Clinton and DeWitt. He married Jennifer Starr on September 1, 2012, at Immanuel Lutheran Church in Charlotte. Chris was a member of Immanuel Lutheran Church in Charlotte, where his dad was pastor for nearly 23 years. He was a volunteer for the Charlotte Fire Department, coached the Charlotte little league baseball team, played drop in hockey in Davenport, and was an active member and current vice president of the Jackson County ATV club. Chris was an avid sports lover and had an encyclopedic knowledge of sports history. He faithfully followed the Detroit Lions, Red Wings, and Tigers, and the Michigan Wolverines. Chris gave the gift of life through tissue donation. He is survived by his loving wife, Jen; his mother, Sandra of Lowden; a sister, Bonnie (Les) McCarty of Fairfield; a brother, Terry (Michelle) Ellis of Alexander; mother-in-law, Deb Good; sisters-in-law, Heather (Chad) Niec, Ashley (Sean) Rieter, and Jolene Starr (Jason White); a step-son, Matthias Schroder; grandchildren, Azlyn Clark-Schroder and Samarah Schroder; several nieces and nephews; aunts, uncles, and cousins. He was preceded in death by his dad, the Rev. Terrance Ellis, his father-in-law, Ricky Starr, and his grandparents. Visitation will be from 4:00 until 7:00 p.m. Thursday, November 29, 2018, at Immanuel Lutheran Church, Charlotte. A Service of Christian Burial will be held at 11:00 a.m. Friday, November 30, 2018 in the church.